Vineyards situation : Côte Chalonnaise is situated South to the Côte de Beaune (after Santenay). There are five main appellations in this area : Aligoté de Bouzeron, Rully, Mercurey, Givry et Montagny. Givry was highly regarded by Henri IV. rise to a village appellation often compared to Volnay. 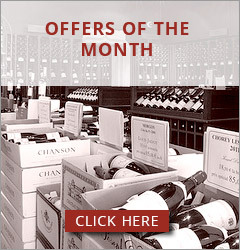 Wine making : White Givry is fermented in open vats and then aged 10-12 months in oak casks before bottling. 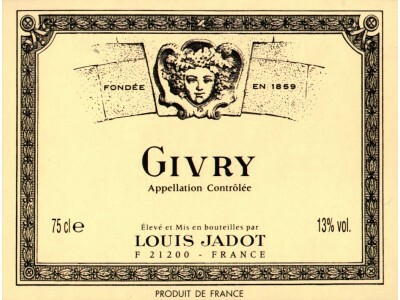 Winemaker's comments / Gastronomy : Red Givry from Maison Louis Jadot has a clean tasting, rich and well balanced. This wine is noted for its warmth, liveliness and full bodied nature. It will be best with charcuterie, pâté, savoury pies, grilled or roasted meats, poultry and pressed cheeses. Preservation : As a structured wine, it will easily kept 4-8 years in good conditions of temperature and humidity.